Patient-centred care has yet to be achieved, and improvements can only come about via better educated and proactive consumers of healthcare, argues Virgil Simons. However, I suppose the argument can be made that we consume health entitlements through Medicaid, Medicare, Social Security and programmes through federally funded education, research and treatment initiatives. But do these activities devolve from the patient needs analysis or from the establishment’s interpretation of, and provisions for, it. Given that non-consumer stakeholders (medical centres, pharmaceutical manufacturers, public health agencies, healthcare professionals) often don’t know what matters most to patients regarding their ability to get and stay well,3 care that is truly patient-centered cannot be achieved without active patient engagement at every level of care design and implementation. The concept of greater patient involvement in healthcare delivery and design2 is driving much of the conversation relative to how we understand and access the care that we need, from pharma company collaborative awareness campaigns, to Accountable Care medical practices, to multi-disease site public health initiatives. We see much of this new mandate for engagement in the inclusion of patient advocates as part of research advisory panels, institutional review boards (IRBs), industry ↔ advocate collaborative groups, community oversight councils and the like. It engenders much hope that the bad old days of when patients had no power are gone. But, are they? Have we really arrived at a point where patient-centricity is a fact or is it still a wished-for illusion? Or, in reference to the song, who’s using who? In the ideal world of patient-centered care and multi-disciplinary engagement, the patient would have his/her clinical status reviewed collectively by physicians from each of the potential disciplines of therapeutic care and a collective decision taken, with the patient’s input, as to the one with best outcomes therapeutically and quality of life. True centricity, but far from the reality of most patients. As advocates we sit in these sessions, advise on these panels, suggest new protocols, recommend new therapies; but are we really changing anything. We revel in our accomplishments as “partners” with pharma in meeting the needs of our patient constituencies. Yet, despite their outward manifestations of support and collaborative spirit, the feeling persists to one degree or another, that patients are something to be dealt with as revenue sources, markets to be exploited – and not as an equal partner in meeting corporate, community and patient-centric needs. True patient-centered care must begin before care is necessary. Consumers must engage with the legislative and health establishment to set priorities for government spending. This includes spending on preventive education and intervention, research funding priorities, restructuring of government payments for therapeutic care, prioritising pharmaceutical drug development, and creating healthier environments. 1. Institute on Medicine. “Crossing the Quality Chasm: A New Health System for the 21st Century”. Retrieved 26 November 2012. 2. Jo Anne L. Earp, Elizabeth A. French, & Melissa B. Gilkey: Patient Advocacy for Health Care Quality. 3. Sepucha, Karen; Uzogarra, Barry, O’Connor, Mulley (2008). “Developing instruments to measure the quality of decisions: early results for a set of symptom-driven decisions”. Patient Education Counsel. 73 (3): 504–510. Virgil Simons is the Founder & President of The Prostate Net, a non-profit patient education and advocacy organisation committed to providing credible and actionable information that will minimise the negative impact of prostate cancer. Using experience gained as an 18-year survivor of prostate cancer and a patient advocate, over the past 16 years he has built an international organisation that addresses disease risk awareness, early disease interdiction and advanced stage disease management. 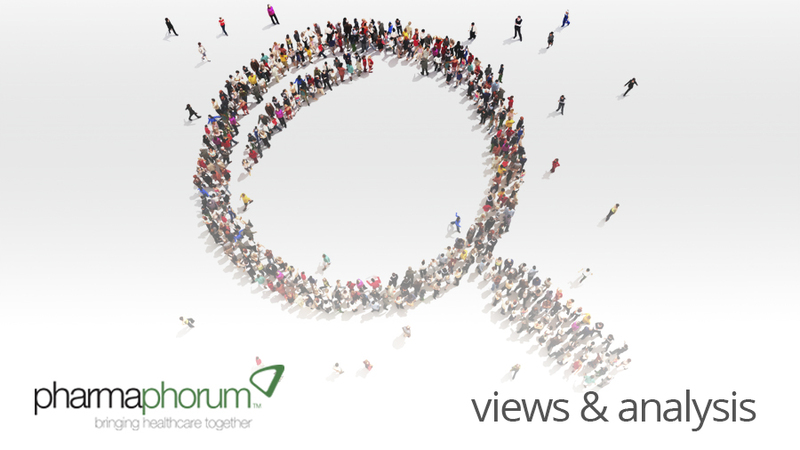 Have your say: Are patients usually seen as true partners by pharma and healthcare professionals?